Video tends to attract more attention than plain text or image: it is both visual and animated. 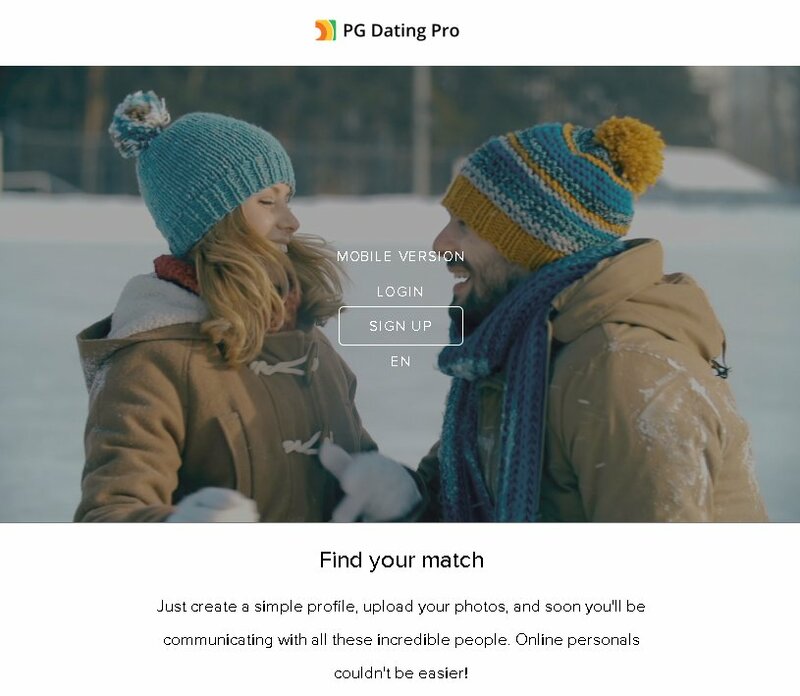 This nice trend – displaying videos in the background of dating website template – has been going on in web design for quite some time now, and we decided to give you the chance to display videos on your dating site powered by PG Dating Pro. There is now a new design theme that you can apply directly to the landing page. The theme is optimized for view on mobile devices as well as on desktop. It uses a video clip as a background. On smaller screens the video is replaced with a screenshot image which acts as a static placeholder for when HTML5 is not supported on your device. ✓ Select calm videos that are not too fast or aggressive to not annoy the site visitors. ✓ Add a pause button so people can stop the video if they wish to. ✓ If you want to add audio effects as well, mute them by default to not scare/annoy people. ✓ Select videos that are not too long and that can be (seamlessly) set to loop. ✓ Try to keep the video size under 3MB, so that it loads faster under different bandwidth constraints. The smaller the size, the better. When properly selected and installed, a video background theme will undoubtedly impress your site visitors and keep them entertained enough to want to sign up. We’ll be glad to hear your comments and suggestions.